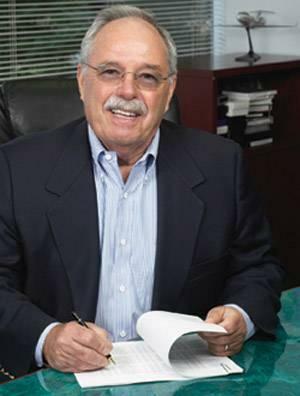 James D. Sinegal was born on the 1st January 1936, in Pittsburgh, Pennsylvania USA, and is a businessman, best known to the world as the founder and former CEO of Costco, one of the largest wholesale and retail warehouses in the world, being second only to Walmart as of 2015. Have you ever wondered how rich Jim Sinegal is, as of mid- 2016? According to sources, it has been estimated that Jim Singal`s net worth is as high as $2 billion, an amount largely acquired through his successful career in the retail industry. Jim was raised as a Catholic in working class family, which apparently instilled ethical working habits from an early age. He went to the Central Catholic High School in Pittsburgh, but then transferred to the Helix High School in La Mesa, California. Following matriculation, Jim enrolled at San Diego City College, from which he graduated with an associate`s degree. He then continued his education at the San Diego State University. While at San Diego City College, Jim worked as a grocery bagger in FedMart, in order to help his family put him through college. He liked the job at retail, and slowly progressed, eventually reaching the position of executive vice-president in charge of merchandising and operations. In 1977 he left FedMart and joined Builders Emporium as the vice-president of merchandising, serving in the position until 1978. After that, he joined the Price Company as the executive vice president. However, the next year he co-started Sinegal/Chamberlin and Associates, which was a food sales representative, and also for non-food products. This lasted until 1983, when he teamed up with Jeff Brotman, and co-founded Costco. Since then, Jim`s net worth has been in constant increase, thanks to the successful management, including expansion of his new company, including opening branches in the UK, South Korea and Mexico. He served as Costco`s CEO until 2012, when he decided to retire. He became known for visiting every Costco store in the USA, something that other CEO`s of retail companies don`t practice. He earned the trust of his employees, such that Costco is also known as the retailer with lowest turnover of staff percentage in the US. Nowadays, Costco has over 700 stores across the USA; although Jim is retired, he is still a board member of the company, and receives $350, 000 per year, which doesn`t include bonuses and additional payments; this has also added a substantial amount to his overall wealth. Regarding his personal life, Jim has been married to Janet, with whom he has three children. One of his sons, David, is the chairman of the Sinegal Estate Winery in St. Helena. Jim has also been involved in politics; representing the Democratic Party, Jim participated in the Democratic National Convention in 2012. Also, he has been a host for President Barack Obama on several occasions.